A flawless complexion is lying just beneath the surface of your skin—and we know that a classic treatment is the fastest way there. After being eclipsed in the early 2000s by new skin-resurfacing lasers, these classic treatments (like, ancient-Egypt classic) are back on top. More people are getting chemical peels now than in 1997 (when peels were the number-one cosmetic procedure in the country), according to the American Society for Aesthetic Plastic Surgery. Turns out good old chemical peels can actually deliver certain skin benefits—like reversing melasma and breakouts—better than high-tech devices. By casting off dull surface cells, they improve fine lines, acne, discoloration and more. And they can work for all skin types and colors—usually for a fraction of the cost. A superficial fractional-laser treatment can run up to $1,000 a session—and you’ll probably need several. A medium-depth chemical peel may cost a third of that and gives more impressive results in a single treatment, according to Reflections Florida Owner Janet Robbins (but count on more recovery time). As with most old-is-new-again ideas, today’s peels aren’t just total retreads. When glycolic peels got really popular in the ’90s, they hurt and left skin raw. But acid formulas have been refined, and so have our approaches to using them. Our goal now isn’t so much to cause visible peeling as it is to infuse the skin with ingredients that diminish lines, build collagen, and improve tone, says Robbins, who is also a master aesthetician. Here are four more reasons to book a peel—and help your skin turn back the hands of time. Peels can make your skin—and skin-care products—work better. In minutes, acids lift away dead cells and trigger a chain reaction. A thorough sloughing also offers one very immediate upshot: smoother skin that’s both more radiant and more receptive. Your skin-care products will also perform better after a peel because there are no dead cells impeding their penetration. Peels are low-risk, and you can go custom. You can choose chemical peels that are safe to use on every skin color without risk of hyperpigmentation (usually a worry with darker complexions). We now know that using low percentages of multiple acids gives a better outcome with less irritation than a single acid at a higher strength. We have plenty of peels plus premixed cocktails to choose from, like Glymed Plus, which includes trichloroacetic acid (TCA) and lactic acid to rev up collagen synthesis deep down and dissolve the drab skin on top. At Reflections, we layer our own recipes to address very specific concerns. For brown spots, we add a pinch of brightening vitamin C or a smidgen of bleaching hydroquinone to our acids of choice. 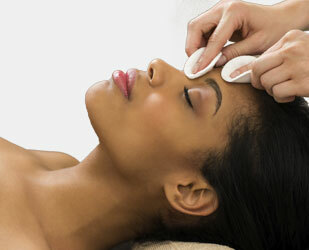 The right peel can end acne and soften the scars that come with it. Salicylic acid peels and Jessner’s peels (equal parts salicylic acid, lactic acid, and resorcinol, an antiseptic exfoliant) dive deep into skin to unclog pores while also skimming the surface to erode blackheads and fade post-pimple marks. Another advantage of salicylic acid: It lingers in the pores, where it continues to keep them clear over time. To improve pitted acne scars, we target individual divots with a high percentage of TCA before applying a weaker acid to the rest of the face to even things out. This method beats most resurfacing lasers, plus there’s little-to-no downtime, and it’s safe for all skin colors. Nothing controls melasma better. There isn’t a permanent cure for the recurring sun-triggered dark patches brought on by hormonal surges (like those caused by pregnancy and the Pill), but chemical peels (paired with at-home bleaching creams, high-SPF sunscreen, and strict sun avoidance) offer the best fighting chance. To book your chemical peel today, visit www.ReflectionsFlorida.com or call 561-221-1462.